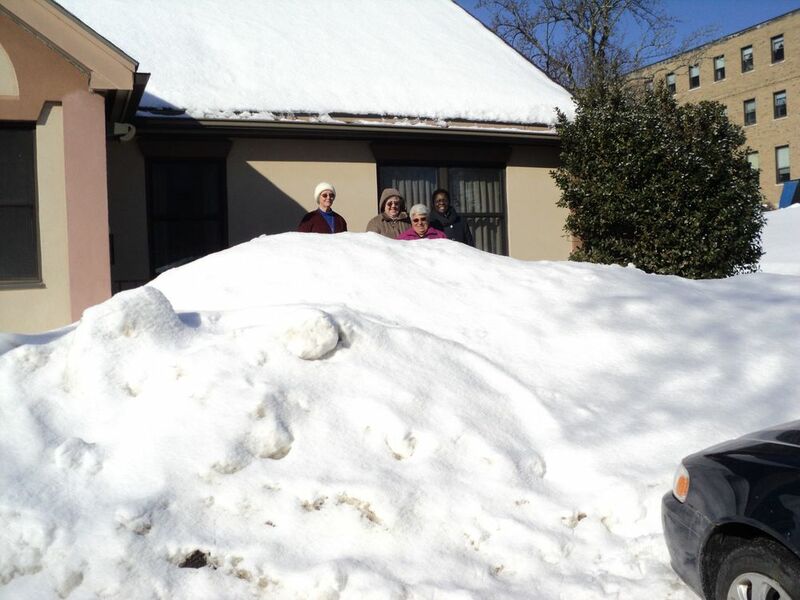 SMSM Finance Committee completes their 3 week meeting in Waltham, MA. 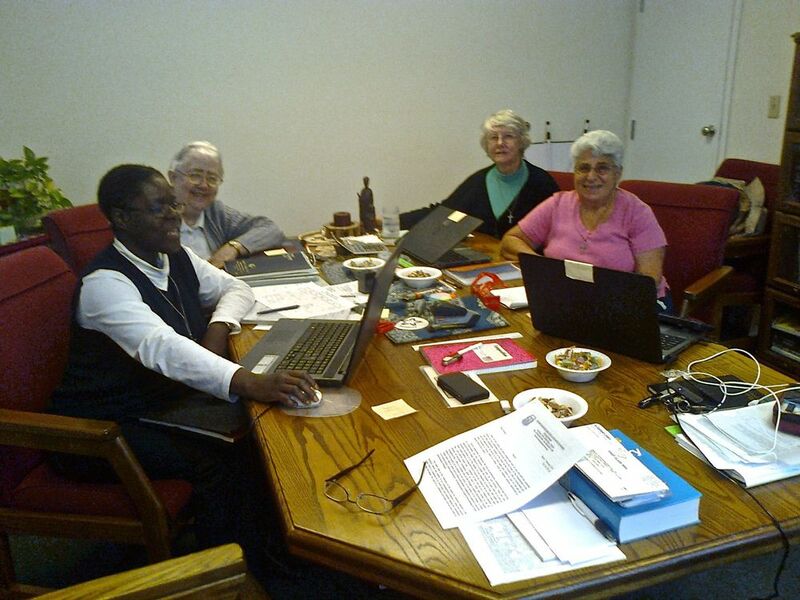 Sister Aubierge Amoussou, from the Region of Africa Europe; Sister Shirley Foust, General financial Administrator and FA for the Region of the Americas; Sister Anne Baxter, from the Region of Asia-Pacific; and Sister Joan Gore from the Region of Oceania. 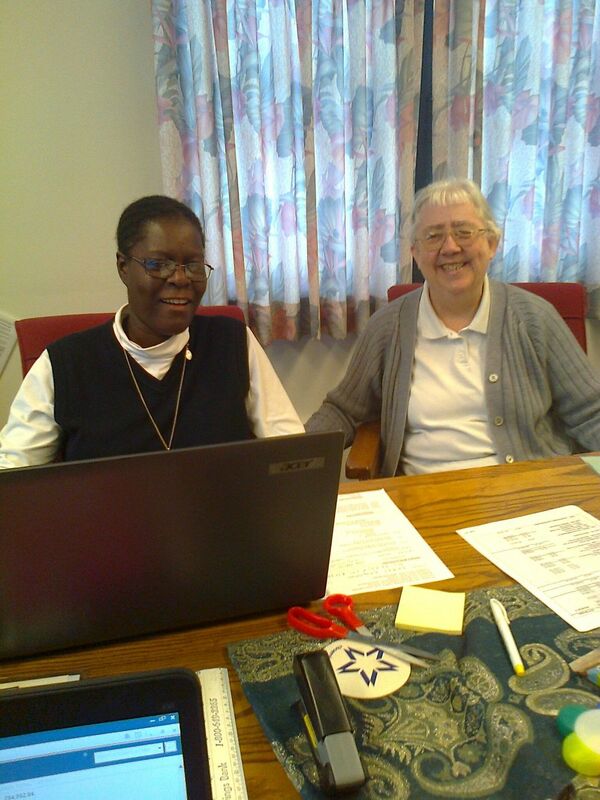 Sr. Phyllis Doucet assisted with translations between English and French.